Sr. Allocation Analyst at Under Armour, Inc. Under Armour Retail is looking for a talented professional to join the Allocation team. The Sr. Allocation Analyst role is a rare opportunity to be a part of a rapidly growing brand and division. Passion, desire and integrity are traits we look for in our teammates. A primary responsibility will be supporting the leadership and IT team in implementing a new Allocation system. The Sr. Allocation Analyst is a key leader on the Under Armour Retail Allocation team accountable for driving strong business results through successful development, execution and communication of store sales, inventory, and receipt plans to maximize and optimize sales and profitability within overall product/category strategies. This role is directly responsible for managing a team of allocation analysts, developing talent and ensuring successful operation of the team. The candidate will also be responsible for owning/participating/driving initiatives or projects to drive our continuous quest for Brand dominance. It started with a simple plan to make a superior T-shirt. A shirt that provided compression and wicked perspiration off your skin rather than absorb it. A shirt that worked with your body to regulate temperature and enhance performance. 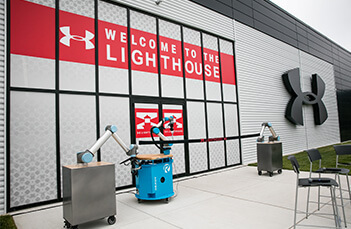 Founded in 1996 by former University of Maryland football player Kevin Plank, Under Armour is the originator of performance apparel -gear engineered to keep athletes cool, dry, and light throughout the course of a game, practice, or workout. Under Armour is the chosen brand of this generation of athletes... and the athletes of tomorrow. We’re about performance -in training and on game day, in blistering heat and bitter cold. Whatever the conditions, whatever the sport, Under Armour delivers the advantage athletes have come to demand. That demand has created an environment of growth. 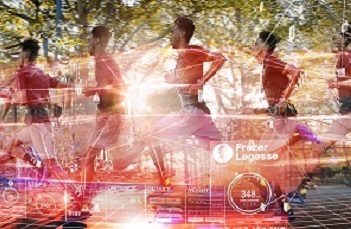 Today, with millions of unique registered users across UA’s Connected Fitness community, the brand is resonating with more athletes than ever before, and we’re investing to change the way athletes live. UA is an environment where building a great team is vital, and where doing whatever it takes is the baseline and going above and beyond to protect the Brand is commonplace. Our teammates and the world’s hungriest athletes alike, live by a code, a pledge to themselves and everyone else: Protect This House...We Will. Develop and oversee cohesive allocation strategies across the retail business. Lead initiatives to enhance current procedures and systems for allocation and replenishment. Establish best practices for key allocation activities such as allocation flow forecasts, floorset status and tracking, new flow allocation strategies, store and capacity planning, and new store activities. Publish corresponding reports/recaps to inform business and drive decisions. Lead all aspects of size selling and size management, including analysis, development of approach and tools, execution, publication, hindsight. Act as Allocation liaison with IT team to coordinate system issues, status, track follow up and push for resolution; partner with project leads on system requirements and process flow for new system implementation. Ensure that product vision and plan is executed by store allocation. Evaluate and maximize system capabilities to further enhance allocation tools and effectiveness. Create, run and maintain various weekly reports/report templates to help understand and drive the business. Support an environment that fosters respect for the ideas of others as well as ongoing collaboration to execute business strategy. Periodic hands on allocation/replenishment responsibility and category ownership during peak periods or as business requires. Travel to stores to review monthly floorsets, build store relationships, and increase awareness of specific store challenges. Provide direction and training for financial store planning. Evaluate store sales and inventory levels to identify areas of opportunity. Communicate store opportunities to cross functional retail teams - merchandising, planning, store operations, and field management. Provide store insight to merchants and planners for creation of seasonal product strategies. Manage new store opening assortment allocations to meet store sales and capacity. Collaborate with the merchandising, planning and store operations teams on future business growth. Manage 1-3 direct report(s), who own a subset of the business category. Monitor weekly business execution to ensure excellence in allocation and replenishment. Provide direction and feedback to Allocation Analysts as needed. Foster and develop advanced analytical skills at the Allocator level, helping the team learn to manage-up findings and propose action plans. Mentor and train Allocation Analysts by developing best practices and establishing a training program. Teamwork - Balances team and individual responsibilities; exhibits objectivity and openness to others' views; gives and welcomes feedback; contributes to building a positive team environment; puts success of team above own interests; able to build morale and group commitments to goals and objectives; supports everyone's efforts to succeed. Managing People - Includes staff in planning, decision-making, facilitating and process improvement; takes responsibility for direct reports’ activities; makes self readily available to staff; provides regular performance feedback; develops direct reports' skills and encourages growth; solicits and applies customer feedback (internal and external); fosters quality focus in others; improves processes, products and services; continually works to improve supervisory skills. Strong allocation systems background a must. Proven analytical skills and strong understanding of retail math concepts and financial acumen, including but not limited to inventory productivity measures such as W.O.H., W.O.S, sell-thru, builds, in-stock rates. Proficiency in analyzing and interpreting large amounts of data; with the ability to synthesize information and translate into effective and actionable insights. Ability to clearly and concisely identify and summarize complex problems or issues, identify, implement and hindsight solutions. Ability to handle multiple projects simultaneously and to deliver results within timelines. Excellent organizational, verbal and written communication and the ability to present information in a clear, concise and complete manner. Proven technical aptitude required and the ability to learn new computer skills quickly. Self-starter, creative, enthusiastic, innovative and collaborative attitude. Sense of urgency and accuracy. Ability to lead a project and influence non-direct reports. Ability to proactively problem-solve and recommend solutions to various stakeholders. Must possess effective reasoning, analytical and intuitive skills combined with reporting. Ability to independently analyze complex problems and make appropriate recommendations. Flexibility to shift focus and priorities at a moment’s notice. Ability to manage, motivate and lead a team to results while setting challenging standards. Ability to manage through conflict resolution. Ability to adapt to changing business needs. BS/BA degree in business or related field. Retail Allocation experience of 3-5 years including experience with advanced Allocation and Replenishment methods required. Prior Buying or Merchandise Planning experience helpful.